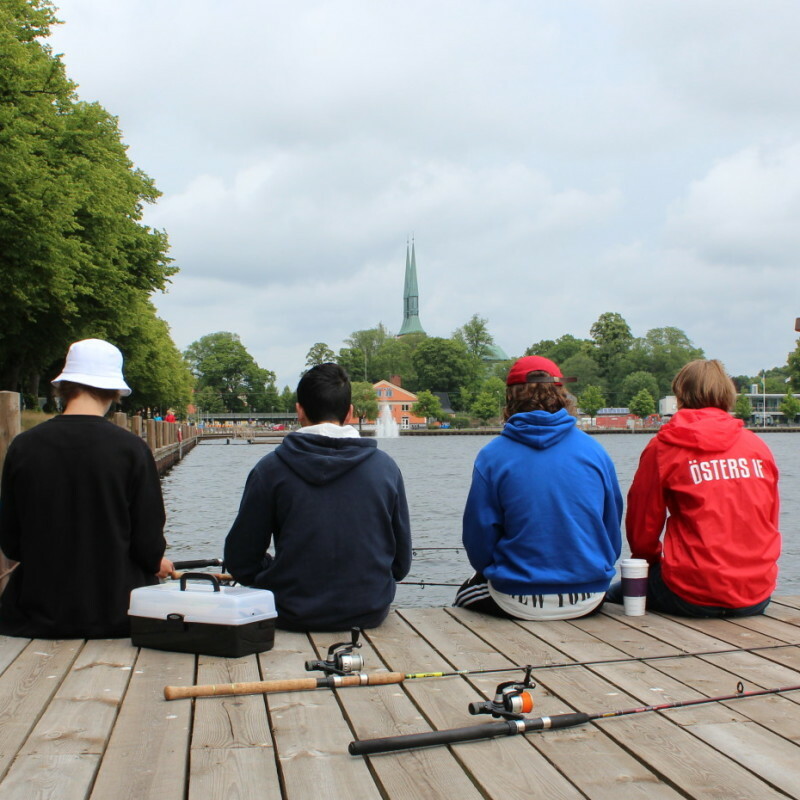 Växjö is a town of art and culture, with something for everyone. The city offers activities within a number of areas, from historical exhibitions to nature adventures, from parkour to art reconnaissance. A nice and newly renovated barbecue place at Helgö nature reserve. Bathing place by the lake Asasjön. Björnö is a bathing place in Lammhult with accessibility for wheelchairs. Bathing place by the lake Örken. Bathing place by the lake Innaren. Bathing place by the lake Helgasjön in the northern part of Växjö. A big bathing place in the northern part of Växjö. Bathing place by lake Årydssjön. Bathing place by the river Helige å. Bathing place by the lake Vederslövssjön in Vederslöv. The bathing place Jät is situated by the lake Åsnen. Bathing place by the lake Åsnen. Bathing place at Kampen by the lake Växjösjön, with large green areas. Lagunen (the lagoon) is situated in Strandbjörket by the lake Växjösjön. Lammhultsbadet is an outdoor swimming pool. Bathing place by the lake Lädjasjön. Bathing place by lake Madsjön. Bathing place by the river Helige å in Gemla. Bathing place by the lake Linnebjörkesjön. Bathing place next to Ryttartorpet in Växjö. Bathing place in Sandsbro by the lake Helgasjön with accessibility for wheelchairs. Bathing place by the lake Madkroken. Bathing place by the lake Rottnen with accessibility for wheelchairs. Bathing place by the lake Tegnabysjön in Tofta. Bathing place by the lake Torsjön in Ingelstad. Naturist beach in the eastern part of Växjö. Bathing place by the lake Åredasjön. Bathing place by the lake Rotten. Bathing place by the lake Asasjön in Tolg. Bathing place by the lake Salen. Bathing place by the lake Årydsjön. Bathing place by the lake Helgasjön with accessibility for wheelchair. Bathing place by lake Toftasjön. Helmet, lock, and a map are included when you rent a bike. Rent a bike in the centre of Växjö. Rent a mountain bike in Växjö! You can rent bikes and gokart-bikes for two persons here. Outside of the flat asphalt, Växjö has loads of fantastic biking trails to offer. Try a long tour through three different nature reserves. Discover technical biking on trails just north of Växjö. You bike between two bathing places; Arabybadet and the lake Toftasjön. Also suitable for children. A biking tour where you pass both the river Helige å and the castle ruin of Bergkvara. On this biking tour, you get to know more about the author Elin Wägner. You pass both the river Helige å and the toy museum in Gemla on this tour. A classic amongst the racing bike-tours on the country roads in Växjö. A biking tour from Växjö to Hemmsjö, passing Åryd and Teleborg on the way. You can enjoy the beautiful nature and take a break at a café on this tour. A bike tour that goes through the southern part of Småland and its cultural landscape. Måndagsrundan, which means the Monday tour, is a popular country road-tour in Växjö. A perfect day trip around the lake Rottnen. A racing bike tour among the islands of Åsnen. The bike tour slottsrundan means the Castle tour. Sydostleden is a 270 km long biking trail between Växjö and Simrishamn. A biking tour that is suitable for children as well as adults. A biking tour where you can eat Swedish fika by the lake. Trummen Runt is a 3 km long bicycle track leading through the nature by the lakeshore. A biking tour with beautiful nature and nice churches. Bike around Växjö and visit attractions on the way. If you bike around both lakes in the shape of an 8, the total length is 8 km. A biking tour with focus on two authors: Viktor Rydberg and Elin Wägner. Åsnen runt is a scenic bike tour leading around the lake Åsnen area, approximately 140 km. BootKampen in Växjö is a 250 meter long obstacle course with 15 obstacles. Värendsleden is a 120 km long canoe route in Mörrumsån's water systems. The youth hostel is located in Beautiful natural surroundings 200 meter from Asasjön. Bouldering and climbing on cliffs near the center of the city. In the nature reserve Notteryd north-east of the city centre, there are 3 perfect areas for bouldering. You can find everything you desire when it comes to bouldering here. Pacey experiences in different types of motor events. Up for a challenge? We give you sixty minutes and a locked room full of problem solving. The leisure area of Evedal is located just north of Växjö. The store has a large range of products and specializes in sport fishing equipment. The fjord in Kalvsvik is suitable both for sport fishing and as a relaxing holiday activity. Åsnen is a fishing paradise with biodiversity and variation. 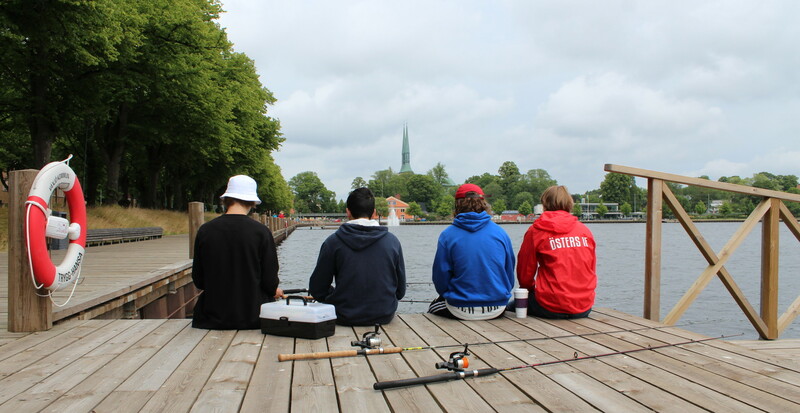 The fishing permit is sold at the tourist information in Växjö. Fishing license: Växjösjöarna's Fish Conservation Association. Jaktia has a large variety of products for sport fishing, hunting and outdoor activities. The adventure minigolf is situated at Evedal camping ground. Play both normal golf and football golf at Rockatorp. 18 hole golf course with practice area. Växjö golf club is beautifully situated in the middle of a nature reserve. On an early spring morning, you could spot a Black Grouse here. A nice hiking trails begins at Jät’s swimming area. The hiking trail in Kalvsvik has both nature and cultural experiences. Sigfridsleden is one of many trails that go through Småland. Hiking: Västra Sigfridsleden, 170 km. The walking trail is a part of a 4 000 km long trail. The 3.6 kilometer long marked trail Sjöslingan begins at Osaby nature reserve’s parking lot. Tours with carriage or sleigh after North Swedish horses. Experience the wonderful landscape around Tolg from a horse driven wagon or sleigh. Kråkriset's Icelandic horses offer riding tours, riding lessons and riding camp. Riding courses and horseback archery on American Curly horses. Växjö's centre for indoor climbing and racket sports. Kreativia is a studio for anyone who wants to be creative. Experience Småland's rich tradition of wood and furniture. A sportsbar in the center of the city, with both food and activities. In parkour it is pretty much the only imagination that sets the limit. 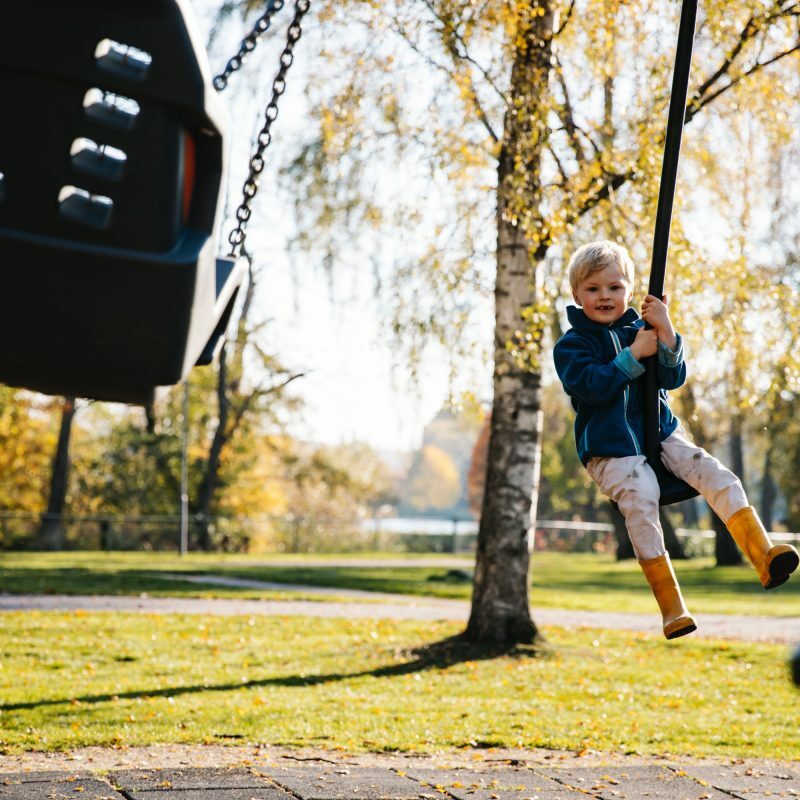 Araby park is a lovely neighborhood park with a well-equipped playground. Tired of shopping? Are the kids whining? Visit Växjö's play sculpture in Klostergatan. Växjö's most central playground is located in the park of Carl von Linneaus. The playground in Lugnet's park is a playground with a farm theme. The playground Sagolandet has a city wall in wood, a city gate and small play houses. 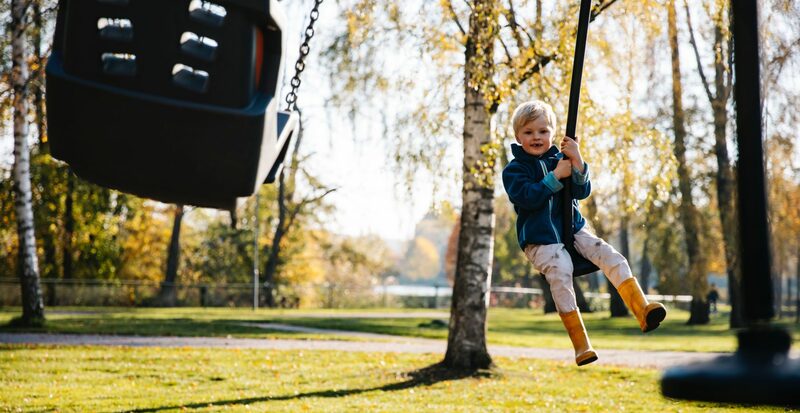 A child-friendly park with playgrounds and big green areas for play and relaxation. The theme playground "The World of Linné " is located in the Linnéparken. Leo's Lekland (Leo's play land) in Växjö is a perfect meeting place for families. Bokhultet has running trails with broad, flat trails in a beautiful nature reserve. A lovely mix of forest, city, hills and flat running. The illuminated track is filled with people, working out from morning to evening. The yellow trail is has both hilly and technical running. An alternative route to Växjöåttan, around Växjö's central lakes Växjösjön and Trummen. Summer activities for all ages. Stand up paddle is an mediative experience as well as exercise for your body. The steamboat Thor can take you on different tours on the lake during the summer. The nature reserve Hissö with its walking paths is also perfect for swim run practice. You can swin across the lake from Toftasjön's bathing place. Outdoor life with the city around the corner. Växjö skate park is situated in the center of the city. Växjö padelcenter has both practice and competitions. A family-friendly indoor swimming pool.